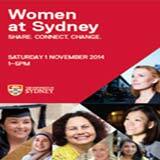 We're currently running an exciting series of workshops for the heroic lawyers and teams from Legal Aid NSW. They have to educate the community on important topics such as domestic violence,teen drug and alchohol use, immigration and many other issues. And they have to do this virtually. We're helping them to learn how to get the most out of their delivery...and they're doing a fine job. We've got a great workshop called Voice Skills for Virtual Presenters that you or your company might find very helpful. Give us call. North Sydney Council are thrilled to give back to all the organisations and volunteers who help look after the community and make it better. We were excited to be engaged to deliver a rousing 2 hour workshop on how to pitch your message! We had a fantastic session with the brilliant teams from Ronald McDonald House Charities. These great people are devoted to changing the lives of sick children and their stressed families for the better. We did our small bit to help them get their voices sounding strong and able, so that they can influence, inspire and comfort those in their care. 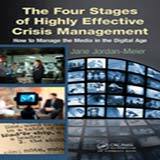 We bring you the best in Media Skills with the brilliant Jane Jordan.Check out her excellent book on how to handle yourself in high stakes media interviews. Got a crisis? No problem......if you know how to handle it ! 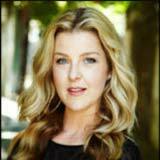 We had the pleasure of teaching Felicity Josling when she first started out in the voiceover game. Look at her now! She cracked the business in the tough UK market voicing documentaries,TV commercials,educational programs and overdubbing for film. We knew you could do it! yay! And now...look out Australia! 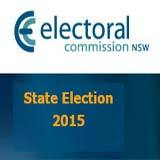 State elections are here again and the Pollies are lining up with us for a little Voice Coaching to perfect their pitch. We discretely help lots of Politicians from every side of the fence to sound their best and keep their voices working through many long days and nights of campaigning. Who's going to win? Our lips our sealed! 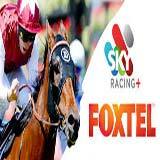 We're thrilled that our lovely Laura has been nominated for the Logies. She is a wonderful performer and has starred in some exciting movies with such luminaries as Liam Neeson, Olivia Newton-John and the vivacious Rebel Wilson...to name a few. She's got a fine voiceover voice too. Come and do a course like she did...and join the stars of the future. This is a great time of year to think about updating your Voice Over Site. 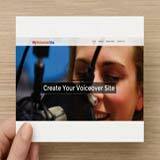 If you want a beautiful site to showcase who you are and how you sound,we recommend www.myvoiceoversite.com . Why not check them out. USyd goes "back to the future"
We've been asked "back to the future" by the University of Sydney to prepare the staff team for O-Week. What an inspiring bunch of people. Talking and Motivating students for a whole week is a tough gig. Keep breathing and have fun! Beautiful blogger Sara Donaldson is so talented! Be sure to read her blog and follow her style suggestions on Fashion Bloggers. She is all class! We loved working with her. 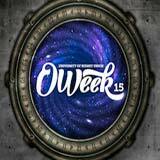 They're off and running for 2015! If being able to be able to call a race at high speed and interview people at the crack of dawn sounds daunting to you, come and learn how to do it with us. We've just had the pleasure of training an up-and-coming presenter to take the reins...and she's off...to the winner's circle! Fabulous Sydney girl becomes fabulous presenter. Our latest Presenter gal hits the big time ! Strutting her style at the Golden Globes. Now she's been nominated as Best New Talent in Australia. Go Ksenija! Another Year...another opportunity to master your speaking skills. 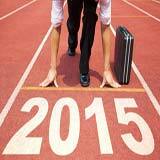 The Voice Business welcomes the New Year 2015! We at The Voice Business are thrilled to be heading into the new year with a fresh array of updated courses and great training for you. We loved working with all our great clients in 2014...and we're looking forward to seeing you and your teams back with us to freshen up your skill set. Try something new, put some polish on your presentations and get ready to blast off with new presentation software!.Make 2015 your year to shine! We at The Voice Business wish all our past clients, present clients and future clients, trainers and suppliers a very Merry Xmas and look forward to working with you all in the New Year. Check out the Christmas card video we made for you on our facebook page at www.facebook.com/TheVoiceBusiness. Sing, be happy and love one another! Cheers! Several TV Presenters have been lined up to start perfecting their vocal skills. Their respective channels are getting them ready for the New Year and new programming. Is it time for you to tune up your act too? Got a Presentation coming up? End of year presentations, updates, meetings and new year planning. It never stops does it ! If you need a little assistance or hand holding to get your confidence up for your next presentation, we can help you. Most people who come to us are great at their jobs but a little nervous when it comes to presenting. Don't suffer in silence. We can teach you how to get your voice and body working intelligently ... so you make the right impression! We have just had the priviledge of working with some of the best and brightest minds in Australia on their personal presenting style. Coming from a diverse range of disciplines such as Astrophysics, Pharmacology, Business Entrepreneurship and Youth Leadership,these women had plenty to say and contribute.They applied everything they learned.What a great symposium it was at The Universityof Sydney! RMHC pulls out all the stops! If you want to be inspired by what good can be done in the world, look no further than Ronald McDonald House Charities. Supporting seriously ill children and their families in numerous ways, they present their message with sincerity and gusto. Keep up your great work. 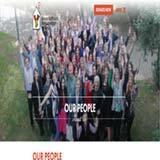 You are a well-led, enthusiastic team of incredible people. Spanish to English-Bravo Senor ! We've just had fun helping the wonderful Manuel Vincente,photojournalist extraordinaire,to sound great on an upcoming commercial. Manuel,a native of Spain,had to get his accent in focus so he could be clear and convincing. So happily,the production company came to us for some help. We dialect consult for lots of productions and are always at the ready to help reduce an accent and increase a presenter's confidence.Ole! 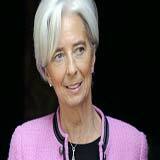 This elegant lady, Christine LaGarde,speaks with a voice that has both men and women listening. Her pace is measured, her accent is suble, her tone is superb and her vocal intelligence is on display for all to hear.